Light the candles; imagine yourself surrounded by healing beneficial energy. 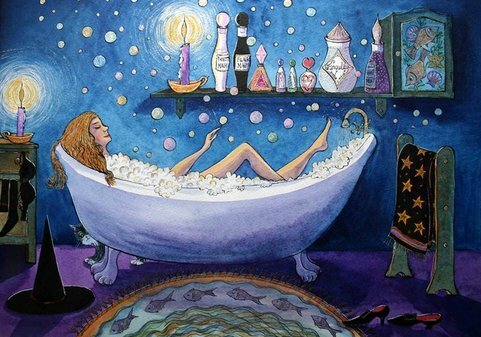 Place the amethyst crystal in a tub of warm water a few drops each of the essential oils. “I am free of (name habit), I am strong and healthy, my mind is clear. My life is wonderful and I am loved and protected."